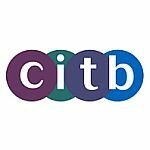 The CITB offer a series of grants for training for short-duration courses. CITB only pay a grant once for each individual per course, unless it’s part of a renewal or refresher process. CITB has released two short videos on making individual and bulk grant claims. These videos are ideal for helping construction employers to complete their grant claims for short-duration training online.